The Republic of Korea (South Korea) is situated in the southern half of the Korean peninsula, closely surrounded by Japan, China and Taiwan. In 2012, 11 million tourists visited South Korea, making it the 20th-most visited country in the world. Most South Koreans live in urban areas because of the rapid migration from the countryside during the quick economic rise in the 1970s and 1980s. South Korea was one of few countries who managed to avoid the recession during the Global Financial Crisis. It has also been a country at the forefront of technological developments, boasting a technologically advanced transportation system of high-speed buses, trains, ferries and aeroplanes, with a multitude of routes that cross the country. 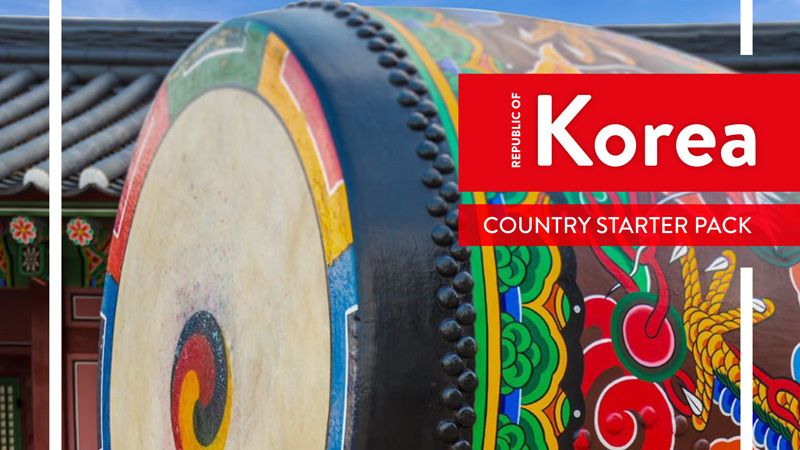 Whilst South Korean culture has been heavily influenced historically by its neighbour, China, it has still forged a unique culture identity. Australia's relations with South Korea were greatly strengthened by the former's participation in the Korean War and in the United Nations Commission on Korea. Looking forward to the future, South Korea has signed three major contracts for the sourcing of gas from Australia with Santos, Total and Shell. South Korea is Australia's fourth-largest overall trading partner with two-way trade estimated at AUD$30 billion in 2012–2013, and was also its third-largest goods export market in that same financial year.